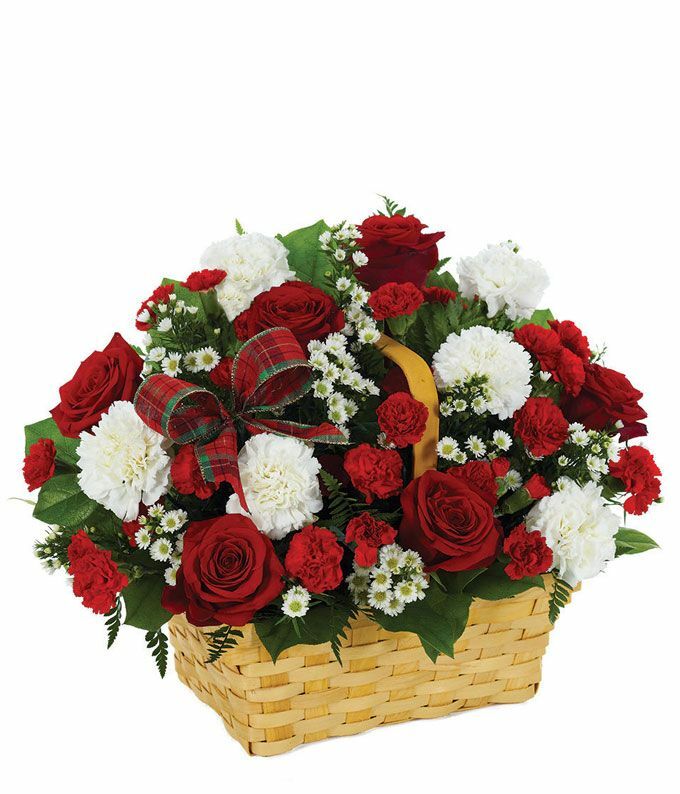 Red roses, white carnations, red mini carnations and white Monte Casino blooms adorn a classic splitwood basket. Helping to highlight these Christmas floral varieties and tie it all together is a plaid ribbon. Measures 18"H by 14"L.